The Dark Side is the U.K.'s magazine of the macabre, covering and reviewing horror films around the world. 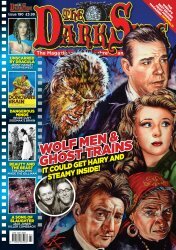 This is issue #190 - Wolf Men & Ghost Trains: It Could Get Hairy and Steamy Inside! Unscarred by Dracula: Jenny Hanley Interviewed! A Song of Slaughter: Jack Jones" Killer Comeback! Missed Issue #189? Use the convenient Buy Both button below! 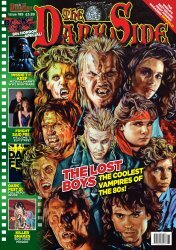 The Dark Side #189 The Lost Boys - UK's Mag of the Macabre - from the UK!